Colt Model M .380 ACP - One of only 101 U.S. Property marked Model M pistols shipped directly from Colt's to the General Officer. 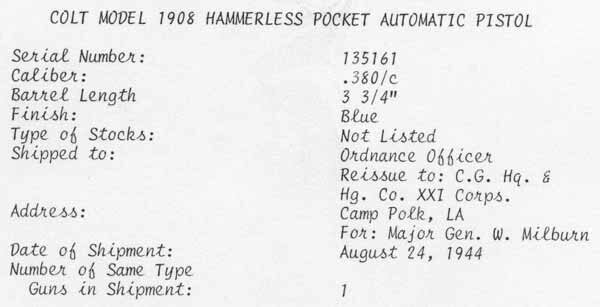 This pistol, serial number 135161, was shipped to Lt. General Frank William "Shrimp" Milburn (West Point Class of 1915) on August 24, 1944. Milburn was the Commanding General for 1 Corp during the Korean War 1950-51. Accompanying this pistol was the General's brown belt, gold eagle buckle and holster. This pistol was worn by the General a considerable amount as evidenced by the holster wear and smooth spots on the checkered walnut grips. 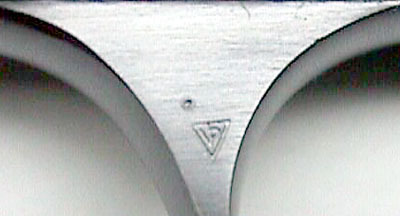 Notice the small "U.S. PROPERTY" marking on the right side of the frame. This pistol also has the early sights, early number of slide serrations and punch-dot ordnance mark, located above the Verified Proof mark on the upper left flat of the trigger guard. 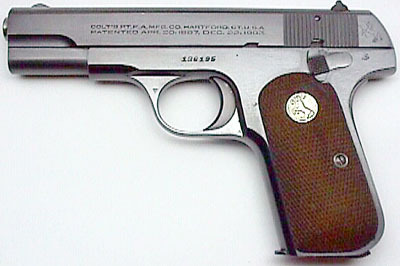 Serial number 136195 is an excellent example of a later U.S. PROPERTY marked Model M .380. This pistol has the late ordnance wheel stamped on the left rear of the frame, behind the thumb safety. 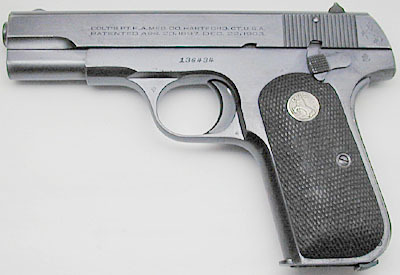 Compared to 135161 (above), 136195 has the larger U.S. PROPERTY mark, later 1911A1 style sights and the additional slide serrations. 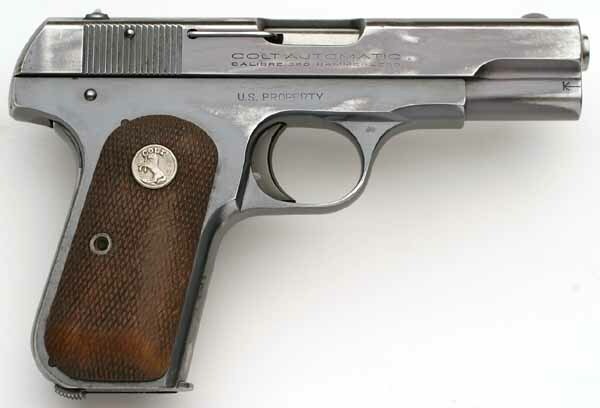 Colt Model M sn 136434 owned by Major Benjamin F. Williams. Major Williams was in active service during 1943 and 1944 having enlisted as a result of the attack on Pearl Harbor. From approximately 1951 to 1964, Major Williams was employed as a civilian employee of the Department of the Army and the Department of the Air Force. He served as a construction engineer in various locations in Germany including Ramstein, Augsburg and Bitburg during this period. 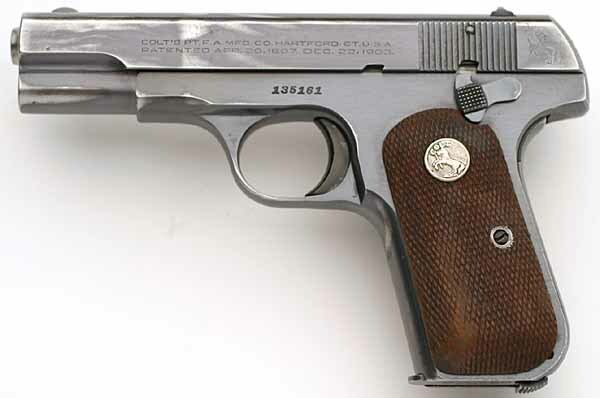 Model M .380 pistol issued to Lt. General Marshall S. Carter - On April 8, 1947, he was appointed to the rank of Brigadier General and was presented his Colt 1908 .380 caliber sidearm, serial number 137666 on May 5, 1948. The Certificate of Ownership for this pistol was later presented to Lieutenant General Carter on May 12, 1965, while stationed at Fort McNair, Washington, D.C. 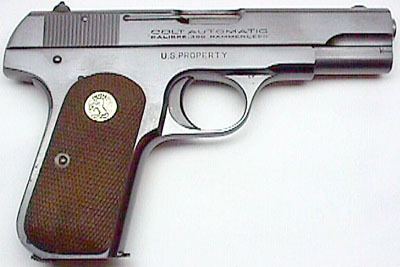 This gun has the "M" stamp preceding the serial number on the frame and on the toe of the magazine, which indicated that it has been either issued from the factory with or sent back to the factory for modifications to the ejector and magazine to correct a problem that caused a stovepipe jam.